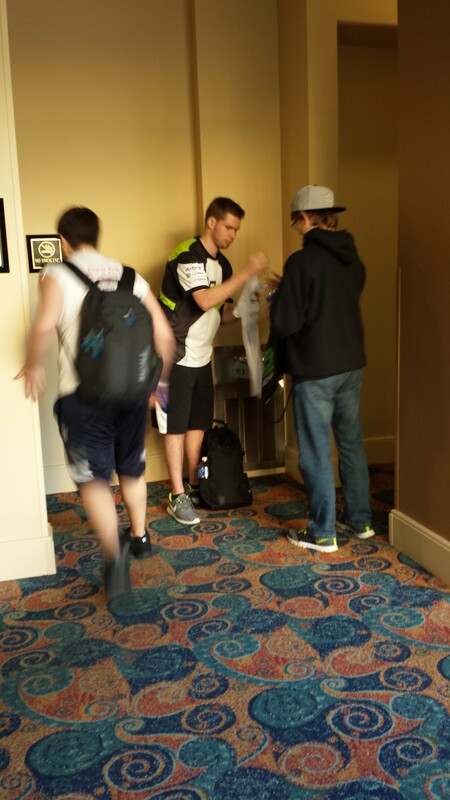 Blurb: The UMG Orlando Tournament Experience! 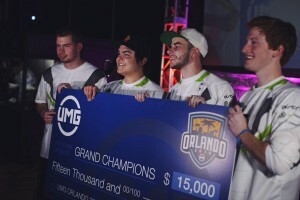 I had the pleasure to travel to Orlando this weekend with my nephew and watch all the Pro Call of Duty – Advance Warfare players competing for a share of $25K in the UMG Orlando Tournament. 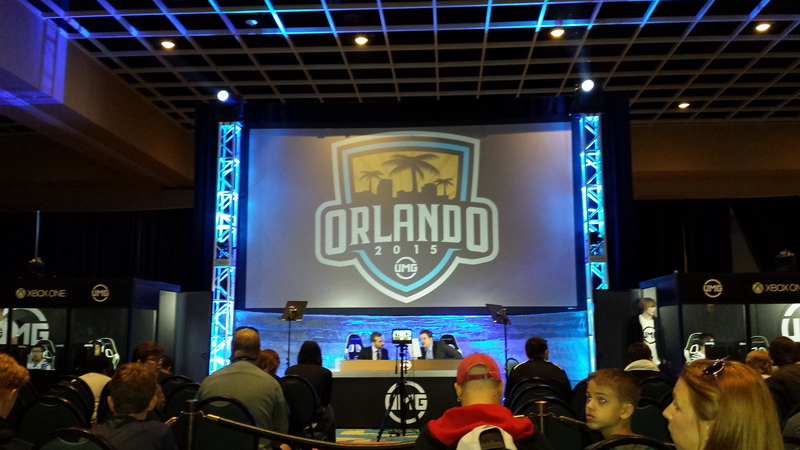 We arrived in Orlando on Friday afternoon ready to watch all the Call of Duty – Advance Warfare action. Once we were in the hall we were presented with flashing lights and bumping sound of music. Not unlike a night club on a Friday night! At first it was a bit over whelming but we quickly found our bearings and made our way to the main arena to find a seat and settled in. Counting the main stage there were twenty one eight player stations and there was CoD action from the moment the hall opened up until the end of the night. Screams of joy and failure rang throughout the hall at a steady pace. 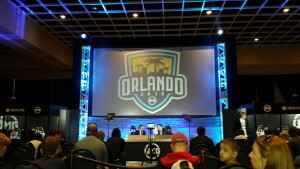 The main stage area seating was always full especially when Optic Gaming took the stage where it was standing room only and at times did not seemed like there was not enough room for that. 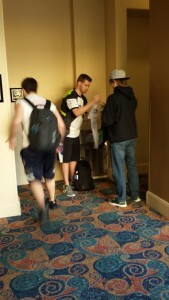 Both Gamma Labs – GFuel and Scuf Gaming had booths where you could purchase their highly sought after products. 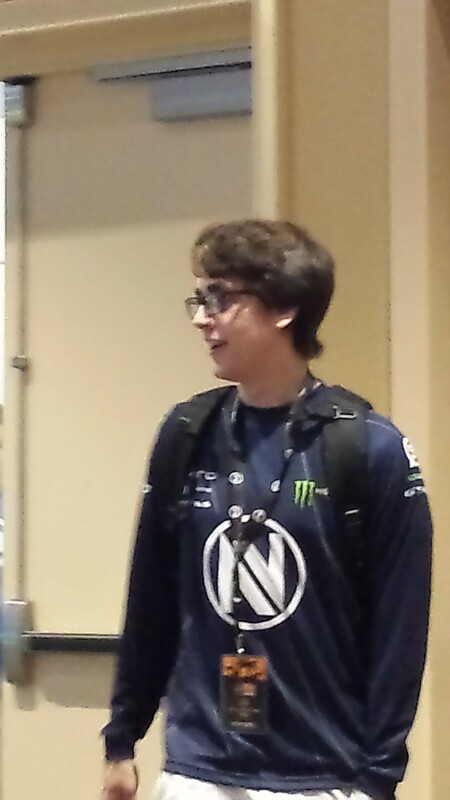 You could also purchase UMG t-shirts and gear for the UMG store booth. 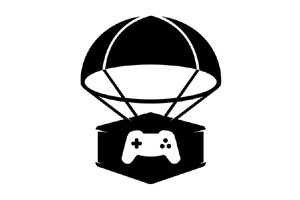 One thing I think deserves mentioning is UMG’s charity that they sponsor… Operation Supply Drop what a awesome charity. It sends gaming goods to our men and women over seas to bring a little fun to a place where most of the time there is none. The pro-players are super friendly and we saw this first hand with EnVyUs’s Clayster was inundated with fans and he took time to take pictures and signed autographs for everyone that approached him. Over the next three days we witnessed a lot of matches and consumed many many ounces of Gamma Labs – GFuel but in the end there could only be one winner. So with that being said congratulations Optic Gaming for winning the UMG Orlando 25K tournament! RPG – Pathfinders: Advanced Class Guide – Part 1 Review – Can you hear that Echo? !